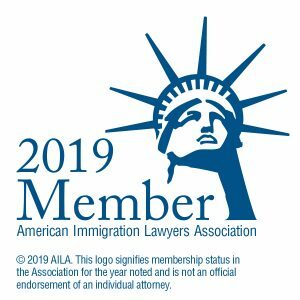 To avoid conflict, most immigration attorneys in the business context will be clear to the prospective employee that they only represent the employer. They sometimes go too far in our opinion. A colleague’s employer-client paid thousands of dollars and successfully got each step of the case approved, right up to the point of realizing the employee could not possibly be given the visa; he was inadmissible due to his prior immigration history. While we also make clear to the employee that we are not allowed to keep any information they provide secret from the employer, we do acknowledge the employee is part of this case, and it won’t work without a full analysis, which includes whether the employee may be inadmissible for any reason. An adult U.S. citizen petitioned for her parents. The mother had been in the U.S. without legal authorization for over a year, so when she had to leave to process her case for an immigrant visa with the U.S. consulate in her country, she became subject to a ten year bar. Because she had been unlawfully present and left, she could not return for ten years without obtaining a waiver of that bar. The father had never been in the U.S., and so he wasn’t subject to that bar. They processed the case for the mother. They paid the required several thousand dollars to the government in application processing fees, had three separate interviews, and finally the waiver was denied. Of course it was. Obtaining that waiver requires showing extreme hardship to the applicant’s U.S. citizen or lawful permanent resident parent or spouse—kids don’t count for that one. The mother had her U.S. citizen daughter, but no U.S. citizen or permanent resident parent or spouse. The daughter petitioned for her mother, but it was the mother who was applying for the visa and who was inadmissible to the U.S., and needed the waiver. They lost years of delay, separation, stress, money, based on wrong advice that should’ve been known up front. She never qualified for the waiver in the first place. They should’ve done the father’s case first, since he wasn’t subject to the bar. Then the mother would have a lawful permanent resident spouse, and if they could show the requisite hardship to him, she would then qualify for the waiver. This is an example of the importance of our strategy that we work on with you. A woman whose sister petitioned for her. She, and her husband and children who were derivative beneficiaries of that petition, waited “in line” for more than 8 years, and then submitted a notice of change of address. At that time the officer realized the sister had been a lawful permanent resident when she filed the petition. The law states that only U.S. citizens can petition for brothers or sisters. The petition was revoked, and all denied. The fact is that the sister became a U.S. citizen only a few months after filing the petition, so if they’d had proper advice, they would have waited to file it, and lost only a few months instead of 8 years! A young woman who was a lawful permanent resident petitioned for her foreign national husband. The petition was approved, and then they had to wait years before they could finally apply for permanent residence for him. They were so happy as they went into that interview. The application was denied, and the petition revoked. They had been instructed by the person advising them that the foreign husband sign the petition, because, “he’s the man, so he signs.” Well, actually, the petitioner signs the petition. Because the wrong person signed the petition, it wasn’t valid; they lost everything, and had to start over. Immigration law is incredibly complicated, and to have people hurt for such basic reasons as those above, is just not OK. As USCIS itself states on its website, “the wrong help can hurt.” You must be careful in whom you place your trust. We take that responsibility very seriously.